I have made a friend over the internet. Her name is Ingrid. We have never met in person, but I can honestly call her a friend. She writes an awesome blog called In Glossy Beauty where she reviews beauty products and books, she shares fashion ideas and jewellery and when I read her blog, I feel like I am constantly learning things and being inspired to try new things. Something that fascinates me about Ingrid is, she is always winning things. A little while ago, she won some Lanolips products and as I had said that I’d been wanting to try the 101 Ointment (on a comment I made on her blog), she generously posted me the one she had won. And I have to say that I am a massive fan of this beautiful lip ointment. But don’t take my word for it, check out Ingrid’s review here. It couldn’t have come at a better time too, as I have had a head cold and super-dry lips. So I wanted to publicly say thank you and share this little story of my new internet friend. I hope we can meet one day and share some beauty and blogging stories over a cheeky cocktail. Have you made a friend over the internet? 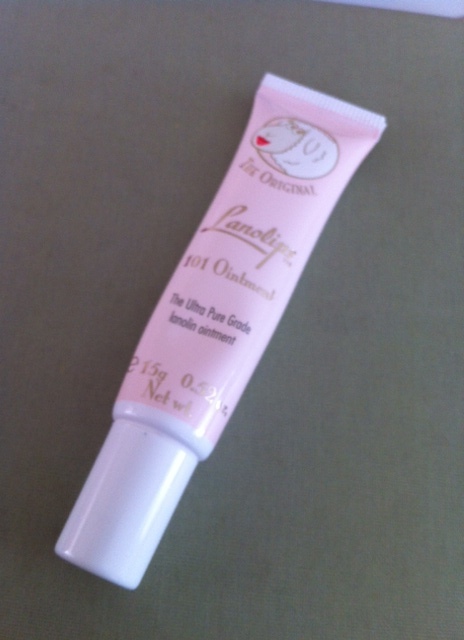 Have you tried Lanolips 101 Lip Ointment? Exactly right Hol!! It’s great isn’t it? And what a very nice thing for Ingrid to do!! I follow Ingrid on Twitter as well – she sounds like such a lovely lady and I hope you do get to meet her in person one day Al. The Blog community is amazing! Thank you so much Alison! You have absolutely made my day that much more special (and I needed a boost because a mouse came in the front door last night and we didn’t find it until tonight – such a drama) and now I can celebrate with some wine:) I am so happy to have “met” you and you keep inspiring me with recipees and other ideas. So happy you like the Lanolips too because it really is the best. I’m so happy that this made you happy! LOVING my lanolips to BITS! And I’m so grateful that I found you too, through her blog! Hope you are all recovered from your cold now!